I'm very happy to announce that I am joining the Developer Relations team at Netlify. From where you are, you can't see me hopping from foot to foot with excitement, but feel free to imagine that. Because it's happening. I should probably explain why. Netlify is a technology company based in San Francisco, and with an increasingly global reach, they... er... we... provide next generation web hosting infrastructure and automation. ...hold on there Philip. Too much. Back up for a second! Simply put, Netlify makes it easier to develop and host your website in a responsible way. A way that is secure, performant, scalable, and... well.. fun, actually. I've been an enthusiastic customer from the beginning. And the growth of Netlify's features has closely mirrored (and gone beyond) what I have been calling for when I describe what I think is "a better way" to approach modern web development. A chance to be a part of this? Yes please. 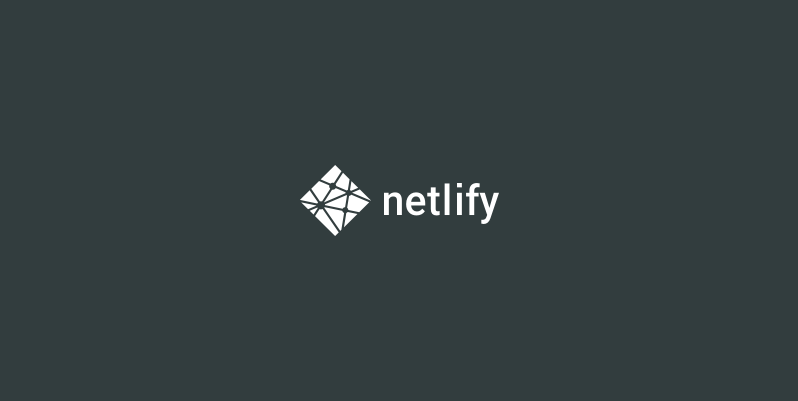 Beyond providing an intuitive and speedy way to just get a site hosted, Netlify offer an impressive set of tools and features that give unprecedented power to the elbow of everyday web developers. Developers who no longer need to be 20 year veterans of the dark arts of every aspect of resilient distributed web hosting. Much of the magic "just happens", but there are further powerful features available for those who want to take control of them. I'm not alone in being a fan of Netlify. You may have heard some the Smashing Magazine team enthusing about their move from Wordpress to a JAMstack architecture, with Vitaly Friedman and Sara Soueidan amongst those being vocal about the benefits. The founders of Netlify are... let me see if I put this politely given that they are my new bosses.. they are freaks. They marry impeccable technical taste, deep technical ability, business smarts, and a level of efficiency and output that boggles the mind. I've known them for a number of years and have been regularly dumbfounded at how steadily their offering has matured. As the company has progressed through their Seed and Series A rounds of funding, they have been growing. Their offering and the team are getting stronger and stronger. Joining their ranks is a thrilling prospect. Add a snooty British accent to team. Bring down the average IQ to something more reasonable. Beyond that, I'll be working in Developer Relations. This means that I'll be able to continue my exploration into what are the possibilities of building on the JAMstack, and sharing the insights from examples, case studies, and the use of emerging tools and features. Both on and beyond Netlify's platform. It also means that I'll be able to spend more time at web development conferences and community events. I love this. This is where I can share my passion for modern web architectures and approaches. Where I can show ways to make use of the Netlify features which I am already so enthusiastic about. And also where I can learn more about the challenges facing those building for the web, and the ingenuity they employ to solve the problems they encounter. If you want to learn more about Netlify, why I'm so excited about the future that they are working for, or just want to talk about what potential there might be for the JAMstack, you can find me on Twitter. Direct messages to @philhawksworth are open, so please reach out. Alternatively, please do come and say hello if you spot me at a conference. I'm always keen to chat.